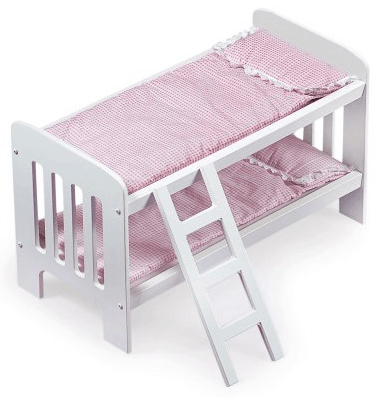 The Badger Basket Doll Bunk Beds with Ladder (fits American Girl dolls) is on sale for $22.94 at Amazon right now. That's 50% off the list price of $45.99! This doll furniture has an average rating of 4.5 out of 5 possible stars based on 212 reviews.